Have a question for Green Beach Pension? 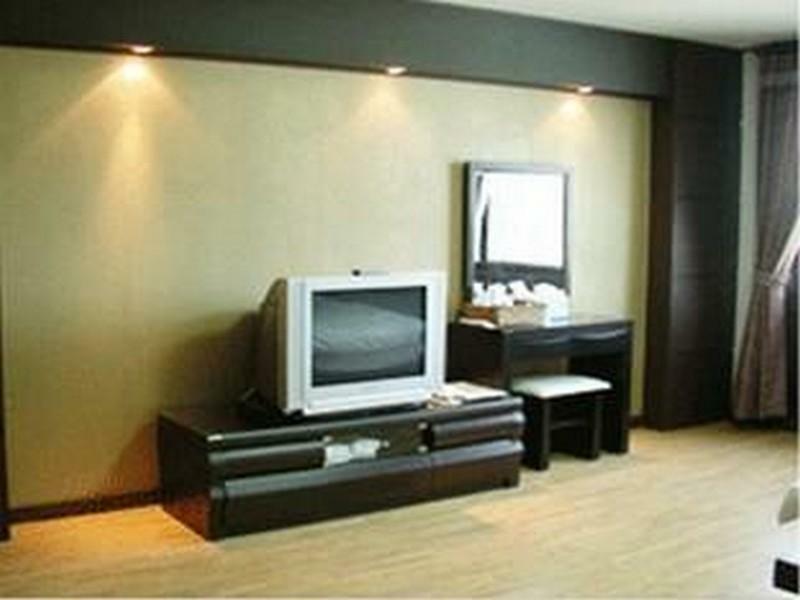 Conveniently located in Jeju Island, Green Beach Pension is a great base from which to explore this vibrant city. From here, guests can enjoy easy access to all that the lively city has to offer. With its convenient location, the hotel offers easy access to the city's must-see destinations. The facilities and services provided by Green Beach Pension ensure a pleasant stay for guests. While lodging at this wonderful property, guests can enjoy free Wi-Fi in all rooms, express check-in/check-out, luggage storage, Wi-Fi in public areas, car park. Green Beach Pension is home to 14 bedrooms. All are tastefully furnished and many even provide such comforts as non smoking rooms, air conditioning, heating, television, kitchenette. Besides, the hotel's host of recreational offerings ensures you have plenty to do during your stay. 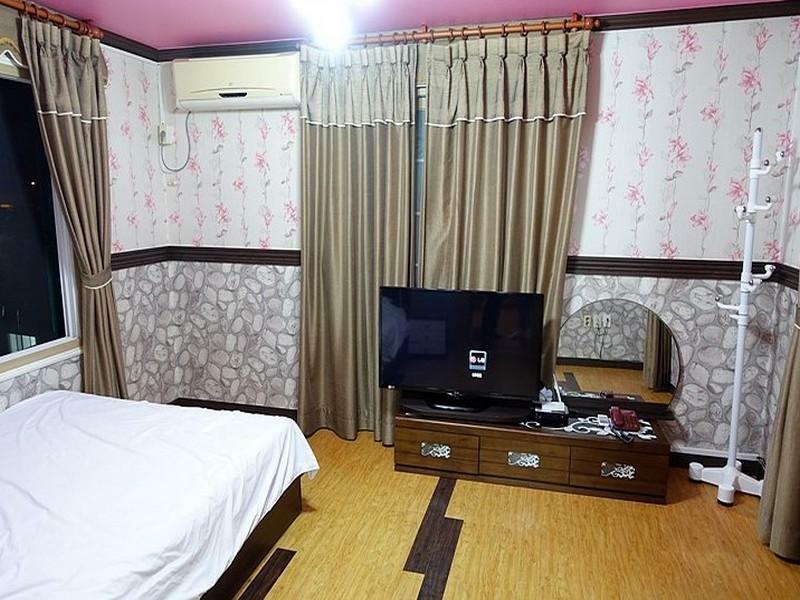 When you are looking for comfortable and convenient accommodations in Jeju Island, make Green Beach Pension your home away from home. We arrived Jeju around 8pm and after all the huha, got our car and arrived this place around 11pm. It was cold at the outside but feeling warm once we stepped in. This place has no elevator, we have to carry our own luggage to the highest floor. But everything just worth every penny because the room is HUGE, with a kitchen, living area, sleeping room, bathroom and balcony! So much to surprise when we woke up the next morning in the breeze of bird songs and shower in the mild sunshine! Definitely a dreamy place! good location, the facilities are good, though the boss can't speak english, he's kind, seemingly this hotel seldom received foreign guests, even no plug converter. The hotel definitely costs its money. If you do not need high-class room, it is your choice. We stayed in the Deluxe Double, our friends in the Korean Traditional. Ours had windows looking to the ocean, but theirs - to the wall. Location - just step out of hotel - and you are on the beach. Walk 1km and you are at the Hanlim park (very recommend for visit). No problem with wi-fi or shower detected. The only thing which annoyed as - round hours shop under the window. People used to drink, and make nose till 3 am. Hotel is in a perfect location- right next to the beach. The view from the superior room windows is stunning. The beach is good if you like safe shallow water a long way out. Not great . Bedding was not washed and shower was not hot. Great and clean room. Ondol floor is ready when we are checking in making us feel very warm from the cold weather outside. The corner room in the Suite able to view 2 different types of awesome beach/sea view. The beautiful sound of wave making me do not wish to close the window at this cold weather. There also a car park for the vehicle behind the hotel. The convenient store is just at the ground floor of the hotel, it is very convenient to everything. However, the owner cannot understand English, if you do not have any request, you may consider this hotel. The restaurant along the main road are close very early. It may hard to find the food after 9pm. The accomodation was good but we were dissapointed as the room we booked a few months earlier before the trip was released to other people due to the hotel received late booking from Agoda. We were replaced by 2 rooms where one of the rooms has no bed and we were forced to sleep on a mattress on a floor. Its our family vacation and we have a small kids aged 2-5 years old travelling with us. Green beach pension is situated in hallim and it is just right next to the beach. The view of the ocean from the room is awesome. It is also situated very close to hallim park and it takes only about 5 minutes to get it the park. 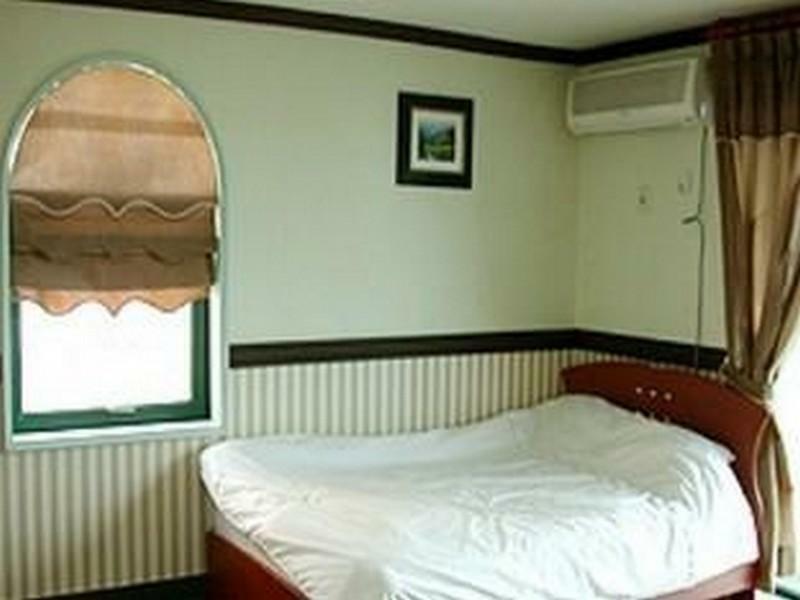 The location of green beach pension is about 30 minutes drive from jeju airport and about 45 minutes drive to seongwipo. The rooms are large which consists of a kitchen, bed room and bathroom. The floor can also be heated up during winters. However, the check in and check out process is rather messy as the owner is seldom around to process paperwork matters. 바로 밑에 편의점도 있고 바다 뷰는없엇지만 바로 앞에 바다고해서 가격생각한다면 만족스러운 방인 것 같아요. 오래된 건물이긴 하지만 하루이틀 지내기엔 적당하구용. 방의 디자인을 중요시하지않는다면 지내셔도 좋을 것 같습니다. 간섭이 없다. 해변이 보인다. 요구사항을 잘들어준다. 제주도 여행이 처음인데다 예산이 얼마 없어 저렴한 가격의 숙소를 알아보다 선택하였습니다. 금능해변을끼고있어 창밖으로 해변이 보였고, 1층에는 편의점이있어 필요한것을 바로 구매할 수있어서 편했습니다. 밤에 술을 살때나, 아침에 아침끼니 등등. 들어가는 입구가 음침하고, 프론트에 사람이 없어서 덜 부담스럽고, 제주도에 지인이 오셔서 의자를 빌리곤했는데 귀찮아 하지 않으시고 들어주셨어요. 내부는 깨끗했으나 4인으로 예약했는데 이불이 모자라고 추가시 비용발생된다고 당일 이야기하셔서.. 쪼금 아쉬웠어요. 그래도 따시고 좋아서 편한사람들과 편히 묵을수 있는 공간이에요.